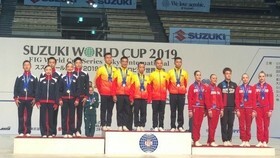 Vietnam national under-23 football team won the silver medal and Fair play award of the Asian Football Confederation U23 Championship after the official 90 minutes and extra time. 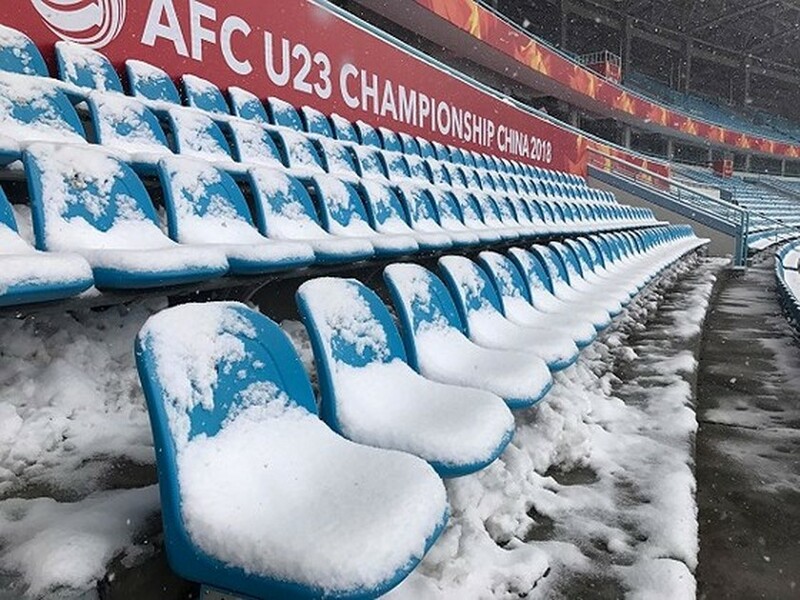 The Vietnamese football players made efforts to compete the final of the Under-23 Asian Cup championship under unfavorable weather of the heavy snowfall in Changzhou Olympic Sports Center; however, they lost 2-1 to Uzbekistan in the last minute of extra time. Uzbekistan had a goal to lead Vietnam 1-0 in the eighth minute of the first match. 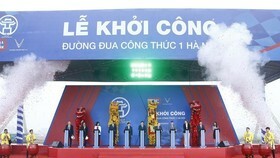 In the 42nd minute, Vietnam equalized from a beautiful free-kick goal of striker Nguyen Quang Hai. A beautiful free-kick goal of striker Nguyen Quang Hai in the 42nd minutes. 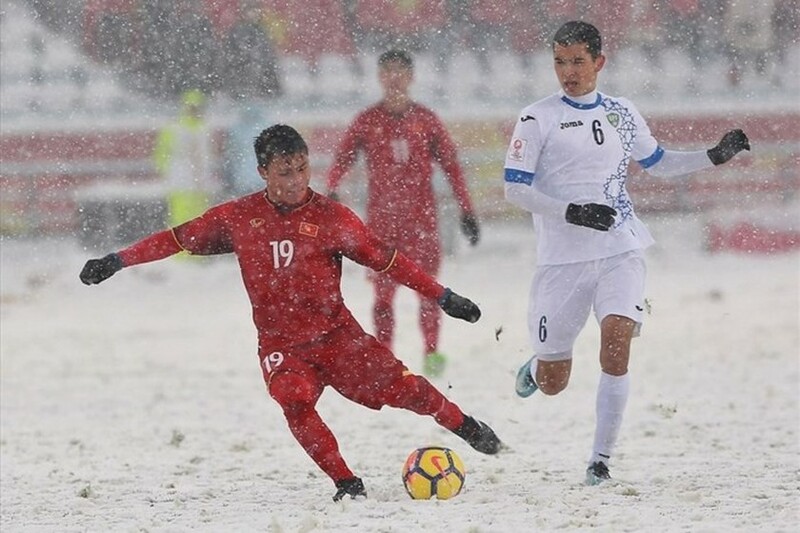 In the haft time break, the organizational board must clean up snow due to the overall snow cover on the football ground. 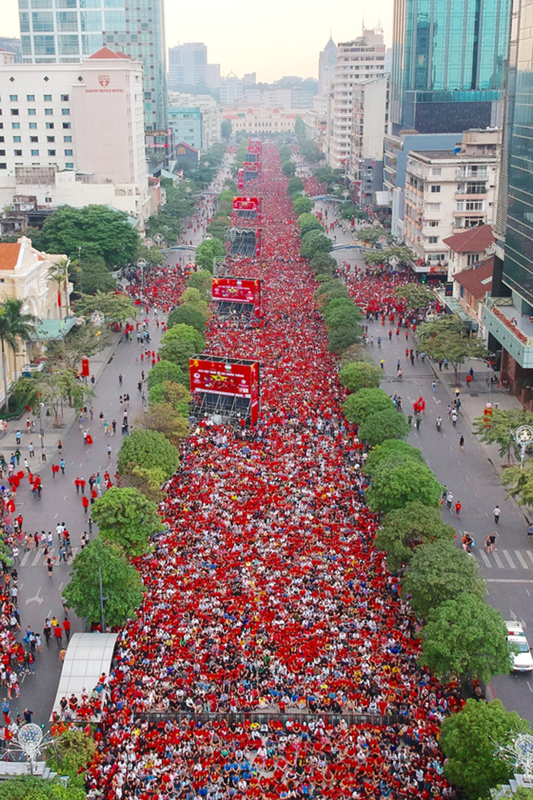 After the official 90 minutes, Vietnam drew 1-1 with Uzbekistan. 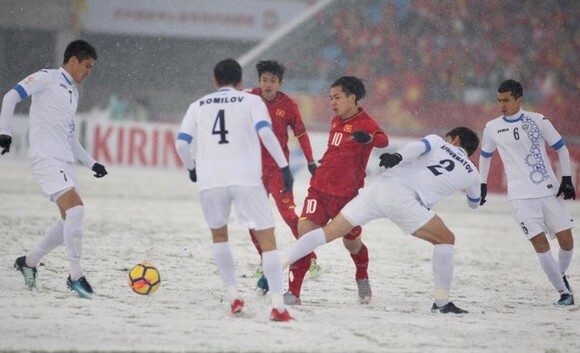 In the last minute of extra time, substitute Andrey Sidorov knocked out Vietnamese goalkeeper Bui Tien Dung to bring the second goal and end hopes of the Southeast Asian team with a 2-1 victory to become the champions of the tournament. Qatar and South Korea respectively stood the third and fourth position of AFC U23 Championship 2018. 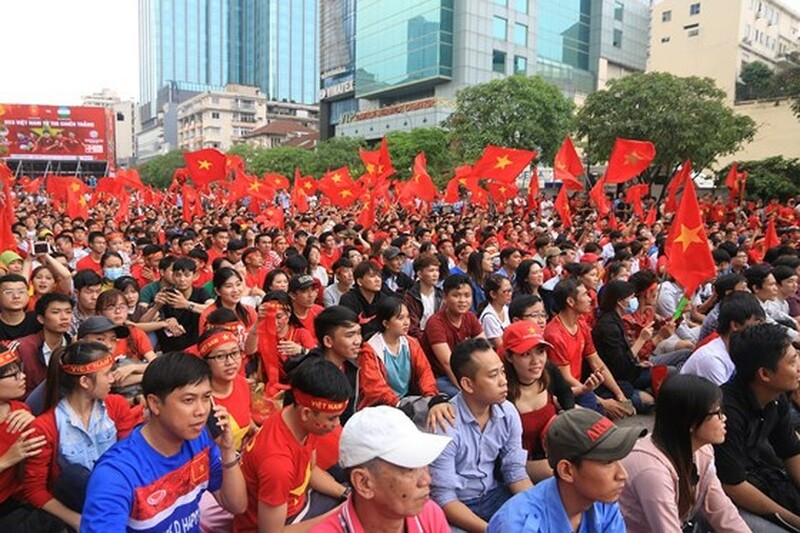 Although Vietnam ranked the second, millions of red-clad Vietnamese fans were proud of the young footballer generation who really are champions in heart of Vietnamese fans as the first Southeast Asian country entered the final of the AFC U23 championship.